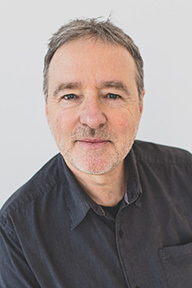 For more than thirty years as a Principal in Diamond Management Consulting, Dr. Richard McGuigan has been a scholar-practitioner in the leadership development, organizational development and conflict resolution fields. Richard has researched, written, taught and practiced in his areas of interest. As scholar and professor he recently retired as Department Chair at Antioch University where he led two graduate programs and where he facilitated the development of Antioch’s inaugural Faculty Senate and served as its first Senate Co-Chair. Dr. McGuigan is an expert in conscious business development processes and has led dozens of private sector intervention and support initiatives. He is an experienced executive coach and an expert in administering and assessing the Subject-Object Interview metric. He believes that enterprise development is more than just promoting an instrumental approach to value generation. His approach to supporting conscious business development acknowledges that cultivating and nurturing the development of consciousness is a central element in the development of high-performing work teams, which leads to the development of high-performing, fast learning organizations. As a practitioner in the public sector he has facilitated solutions to sustainability conflicts, led public policy initiatives, and mediated organizational, family, school community, higher education and faith community disputes. Diamond has undertaken projects in Guinea Bissau, Uganda – for former President Jimmy Carter’s Foundation, prison reform in Liberia and democracy initiatives in Fiji. Richard has a PhD in Integral Studies in Adult Development, Conflict Resolution and Leadership, and a Master’s degree in Conflict Resolution. His research has been published in leading academic journals and covers a diverse range of topics including conscious business, leadership studies, the growth of consciousness, adult development and leadership, sustainability and organizational transformation. His new book with co-author Dr. Nancy Popp, The New Science of Conflict, is published by SUNY Press.